Usually on my blog I focus on childrens or household items when it comes to product reviews, but today I'm sharing a couple of things that I've been loving lately which are just for me - as let's face it, us mums need a treat once in a while don't we?! 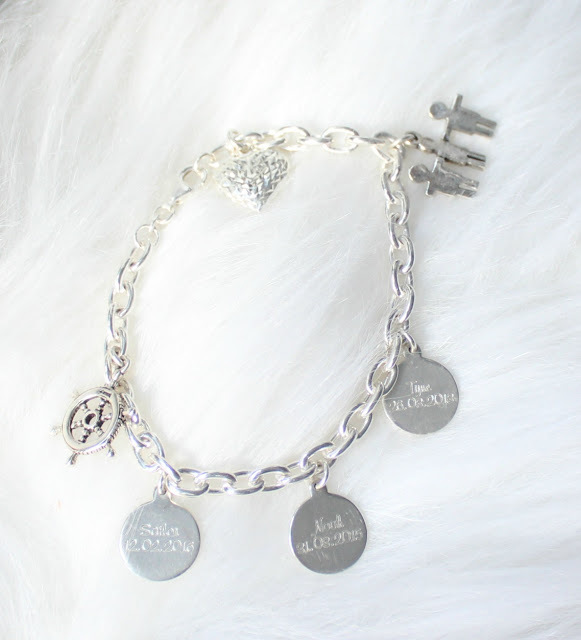 I've blogged lots of time about how much I adore personalised jewellery, and although I had lots of bits and pieces with Tyne and Noah's names and handprints on - I hadn't yet got around to getting anything with Sailor's name on when I was gifted this beautiful charm bracelet from Charmworks. 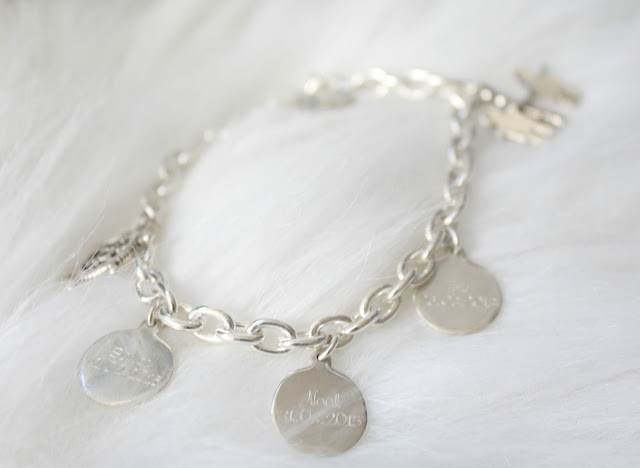 The bracelet itself is gorgeous sterling silver and very good quality, and features 3 little silver discs inscribed with each of my boys names and dates of birth. You can add other charms too and the choice on the Charmworks website is vast! I decided on 3 Boys paperchain charm as it represents my 3 little lads perfectly - I also chose the Ships Wheel as it represents my love of cruising and also fits well with Sailor's name. I love this charm bracelet and will certainly be adding to it over the years - the only other charm bracelet I have is a trollbeads/pandora style one and I actually think I prefer this more traditional charm style. Since having Sailor I have been struggling to find bras that fit comfortably as my cup size has gone up quite a lot! I always struggled to find comfortable underwired bras and do feel that I need the support of an underwire - so when I was given the chance to try one from Curvy Kate at House Of Fraser I was really pleased. The bra is a great fit and very comfortable, giving plenty of support but - unlike most bras designed for larger chested ladies - it's also very pretty with its delicate spotted design and pretty lace edging. So that's what I've been loving in May - have you bought any great products this month?